On this date in 1896, McLeansboro, Ill. hosted its only hanging. 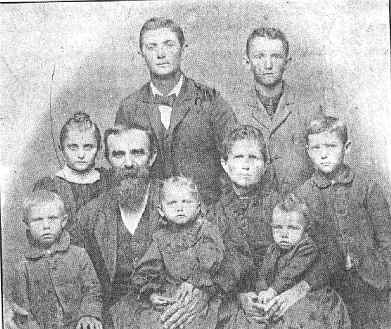 German emigre Fred Behme was settled into married life when he converted from Catholicism to Methodism. Unfortunately — so Behme saw it — his wife Mary didn’t hew to the old cuius region, eius religio principle where the man of the house was concerned, and stuck with the bishop of Rome for the salvation of her immortal soul. And there’s just something about the zeal of a convert. Though the hanging was invitation-only, it was visible from McLeansboro’s public square and large crowds gathered to witness the hirsute Protestant check out with a short speech in German. 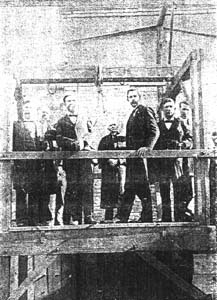 Wikipedia alleges (without a clear source indication) that one G. Phil Hanna was among this multitude, and that seeing Behme strangle to death on an inexpertly deployed rope launched a lifelong interest in the hangman’s craft that would culminate when Hanna pinch-hit on the execution team that carried out America’s last public hanging 40 years later. Others of less august accomplishment no less vividly recalled their (and their town’s) one-time walk through the valley of death.